Today the United States Senate voted to confirm Brett Kavanaugh to the Supreme Court. We have a president who has openly boasted about committing repeated and continuous sexual assault. That president has been accused by more than a dozen women, and those are only the ones that came forward, of sexual assault. That president has now appointed a justice to the Supreme Court how has also been accused by more than one woman for sexual assault, albeit over 30 years ago. The media and his supporters make it sound like sexual assault in high school and college are nothing to worry about, everyone does it. I disagree. But be that as is may, even if I could excuse the indiscretions (or possibly crimes) of his youth, I cannot forgive him lying about it now under oath and in front of the whole country. There is evidence that Kavanaugh lied, a lot, about many facts related to this mess he is in. And that I cannot forgive him for. After all, he is a Supreme Court justice now. How is he going to vote on perjury when it comes up? How are his fellow justices thinking about this? Can they ever respect him? Can I ever respect him? And this president and this Supreme Court justice are now going to decide on women’s rights! We sure need help now. Senator Susan Collins was the deciding vote. She had to power to stop this. Now the ire of the nation is upon her. Fundraising against her reelection has escalated, and it’s quite possible that her career as a senator may be ending. However, why are we targeting her? Every other Republican senator, save Murkowski, also voted for Kavanaugh. What is different about Collins and everyone else? Why are we coming after her now, and not all the others that voted the party line. We truly need help now. 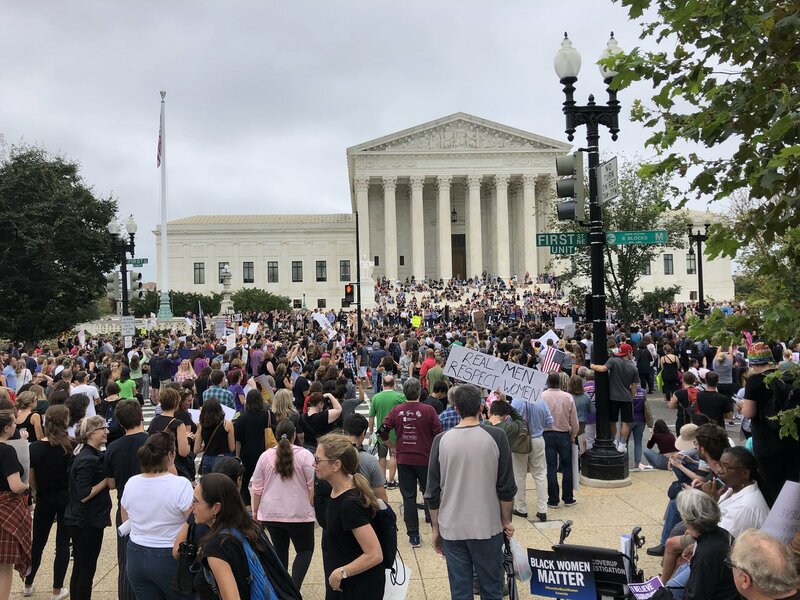 Trump has tarnished the image of his office, and Kavanaugh has tarnished that of the Supreme Court. I guess the Senate is next.